Okay okay, so we don’t have the wild west of Daniel Boone and his pioneers anymore and the most shooting that the average guy does these days is through the lens of his camera phone…. Still… Guns are pretty cool and shooting them is a pure source of primal instinct stimulating joy. There is something amazing about the challenge that a target brings, even if said target is a simple piece of paper. Ask any boy who just fired his first bb or daisy. If shooting them is not your thing, that’s also fine, but even someone who does not enjoy the use of them can still enjoy the engineering behind these creations. 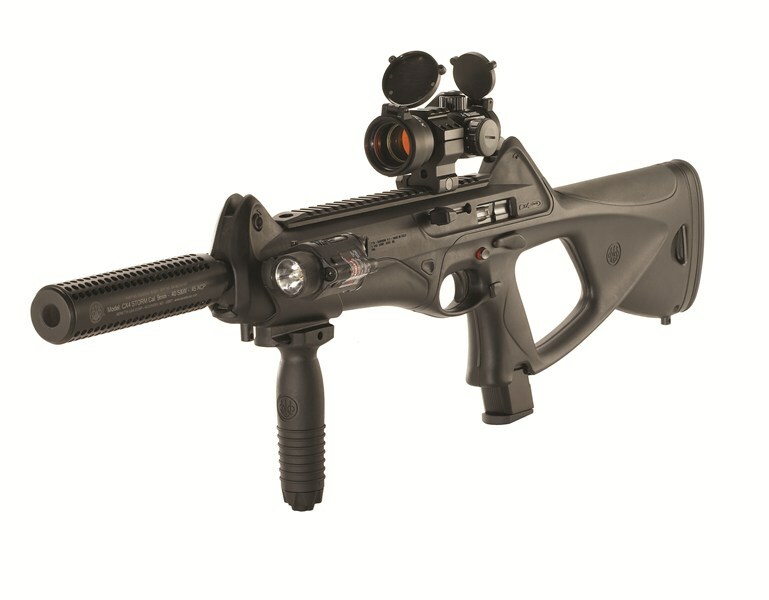 One such creation is the Beretta Cx4 Storm. I recently had the great pleasure of hurling a few rounds down the throat of this little piece of recoil inducing joy. The Cx4 civilian version of the Mx4 Storm and is a pistol-caliber carbine, the one I shot being the 9mm Parabellum version. The Cx4 fits your hand like a standard Beretta pistol, but has a cold-hammer forged barrel which provides for rifle-like accuracy. The gun is very easy to use and is ultra reliable, eating almost any ammunition that you pour into it, even the truly horrible Nobletech reloaded rounds which I used. A great bonus is that this gun accepts full-size Beretta magazines. Think about the practicality of this for a moment. 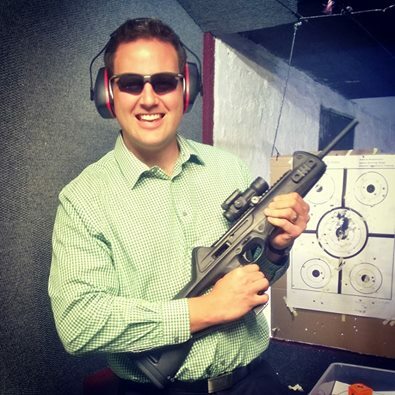 If you carry a Beretta 9mm pistol and use the Cx4 storm as well, both in 9mm parabellum, you can carry any amount of the same magazines and any one will work in any weapon meaning that the ammo you carry is always exactly what you need. The operating handle, safety and magazine release are reversible which means lefties and right-handed people can both use the weapon with equal ease. The trigger is also adjustable so you can adapt it to fire when you engage your man-claws or alternatively set it up to shoot whenever someone sneezes close to you. Furthermore, this little machine comes with oodles of space for accessories, the red-dot sight fitted on the full-length aluminum top rail on the one I used being my favourite. There is also a retractable Picatinny rail that extends from the fore-end, which allows users to mount tactical lighting devices and other accessories. A maximum of five Picatinny rails can be utilized using Beretta accessory kits, or the user can use the two present at purchase to attach a number of optics, grips, lights, lasers, bipods etc. This firearm was designed to be very adaptable to customization. It might be obvious to you that this gun was not made for hunting. The smaller cartridge was designed for distances of less than 100m and Bambie usually does not get that close. I personally prefer a shotgun for self-defence purposes, which leaves sports-shooting as the only real alternative for this bad boy. What can I say? I pulled the trigger and was absolutely amazed at how little the recoil was. The red dot sight was great fun, much like a Kodak camera – point and shoot. Before I knew it 10 rounds went through the barrel and I was still wondering what just happened. The gun is surprisingly accurate, although I only shot at 50m. Long story short, I would love to own one of these and I want to encourage you to tick this one off of your bucket list, even if it is just for a day.